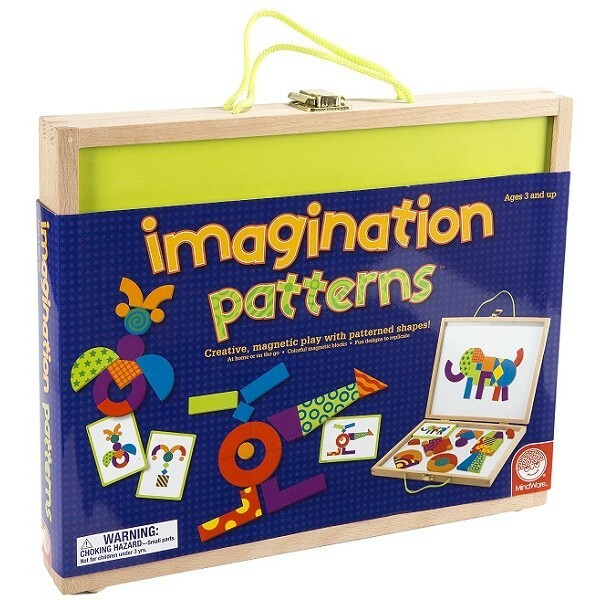 Boost your kids' fine motor and visual thinking skills with this colorful set of magnets! The sturdy wood carrying case features durable hinges and rope handles that are perfect for little hands to grasp. 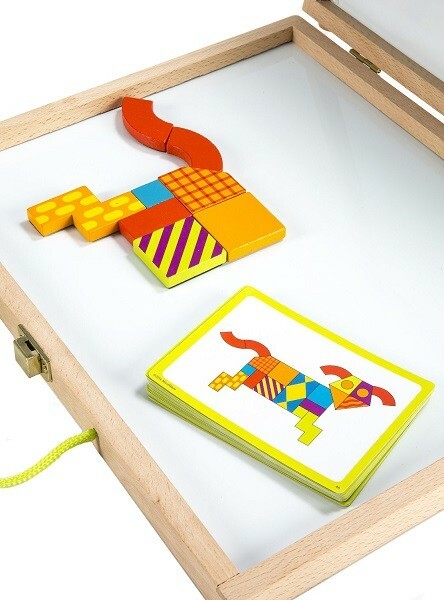 Inside, brightly-colored magnetic blocks can be arranged on the boards to replicate any of the 50 full-color design challenges, including animals, faces, vehicles, sports, structures and more. Plus, the magnetic board surface doubles as a dry-erase board, so kids can decorate a backdrop for their creations!